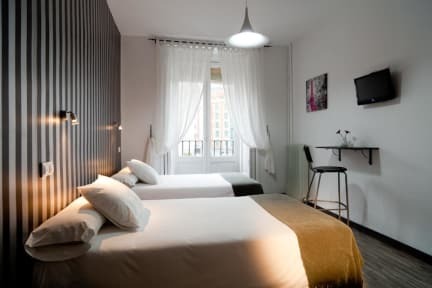 Hostal Gala Madrid has got 22 spacious rooms with balconies, Single, double, triple rooms and a suite, Bathroom with power shower in every room, Air conditioning in every room, Iron and ironing board, WI FI Internet access. The property is ideally located downtown. 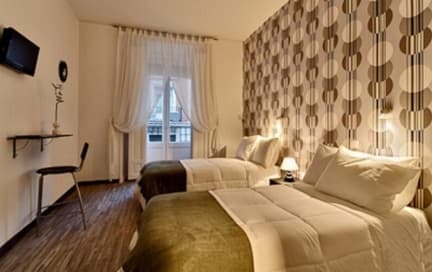 You are just a walk away from such landmarks as the Puerta del Sol, the East Palace, the Gran Via, the famous Chueca quarter and Madrids art triangle featuring its three most famous art museums, the Prado, the Reina Sofia and the Thyssen Bornemisza. You're surrounded by shops, restaurants, bars and nightclubs. Everything you would expect to find in Madrid, just a stones throw away from your property.